Offering you a complete choice of products which include nickel crucible, silica crucible, platinum crucible and silica volatile matter crucibles. Commercially pure or low-alloy nickel has characteristics that are useful in several fields, notably chemical processing. Nickel is highly resistant to various reducing chemicals and is unexcelled in resistance to caustic alkalis. Nickel 201 is a commercially pure nickel with high thermal conductivity. conductivities, low gas content and low vapor pressure. The corrosion resistance makes it particularly useful for maintaining product purity in the handling of foods, liquids, synthetic fibers, and caustic alkali's. Nickel 201 has the excellent corrosion resistance characteristic of Nickel 200. Because it is a low-carbon material (0.02% max. ), Nickel 201 is not subject to embrittlement by interplanetary precipitated carbon or graphite when held at temperatures of 315° to 760 °C for extended times, provided carbonaceous materials are not in contact with it. It is, therefore, preferred to Nickel 200 in all cases where temperatures exceed 315 °C. Nickel 201 is ideal for laboratory crucibles which are capable of withstanding oxidizing furnace atmospheres up to 1100 °C. Above 300 °C its mechanical properties change: tensile strength falls, elongation grows making for example a crucible more malleable when handling or when heated by a direct flame. This can lead to a change in the profile/shape of a crucible. The material is subject to intergranular embrittlement by sulfur compounds at temperatures above 315 °C. The resistance of Nickel 201 to corrosion by distilled and natural waters is excellent since resistant to water containing hydrogen sulphide or carbon dioxide. Nickel 201 gives excellent service in seawater. Our Silica Crucible have high temperature resistance and also high resistance to chemicals. 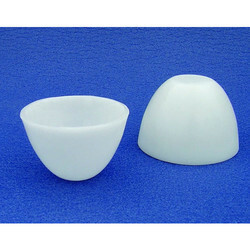 Different dimensions of silica crucibles are available with us. 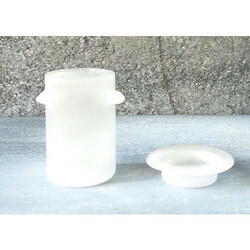 Our silica crucibles are translucent, have glazed surface and finished properly. 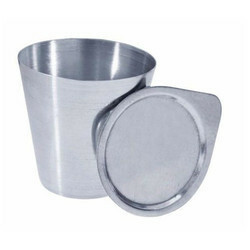 This Platinum Crucible offer high temperature strength and high melting point. Platinum offers oxidation resistance in air and oxygen; and corrosion resistance in acids and melted salts. Protect your investment with platinum tongs that reduce possible damage and scratches to platinum crucible when hot. Manufactured in standard form. Lids, crucibles, and tongs sold separately. Claisse molds and crucibles are made of 95% platinum, alloyed with 5% gold and are of exceptional purity. 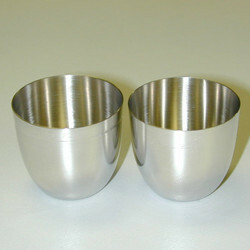 We also offer zirconium crucibles. Available in a variety of sizes and thicknesses, our Pt/Au (95/5) molds and crucibles are in stock for immediate deliveries. Our heavy molds and crucibles are recommended because they have a longer useful life, better resistance to high temperatures and can be polished several times. Claisse has many precious metal accessories for your laboratory needs (dishes, tongs, tweezers, spatulas, special products and more). If your molds become damaged, Claisse offers a polishing service to repair their surfaces and recover their mirror aspect. If you want to do it in your laboratory, Claisse offers a polishing kit, reshaper and a training program. Claisse offers all our customers a scrap buyback program for used molds and crucibles as credit towards new platinum accessories. This precious scrap metal buyback policy applies to all other platinum, rhodium and gold accessories your laboratory uses. Looking for Laboratory Crucible ?